Kat Dy Finds: Do You Sell Online and Want To Win P50,000? Join the SMART Money ShopSpotting Promo! Do You Sell Online and Want To Win P50,000? Join the SMART Money ShopSpotting Promo! Are you an online seller looking for some extra moolah? Or yearning to get extra publicity and promotions for your site? Sign up for SMART Money's ShopSpotting Promo which just launched today! I've been chosen as SMART Money's official ShopSpotter, which has me very excited as it's the first time I'm actually doing anything official as a blogger. My job is to "spot" cool products and services offered by online sellers who accept SMART Money as a form of payment. Like most of you probably, I also just found out about SMART Money, so trust me, we're going to be learning together, and shopping together, along the way. I have to confess, I never really did any online shopping before. Granted, I had to browse through tons of Multiply shops in my old days as fashion editor, but I still preferred seeing and buying things in person, so that I could touch them and try them on. That was the best part of shopping for me. However, moving to New York last year opened my eyes to the wonders of click-and-buy. It was easier shopping in the US as long as you had a credit card. Plus, a lot of sites offer detailed product views and reviews, free shipping, and generous return and exchange policies, so the risk of receiving an inferior product is significantly diminished. And the deals you can get are fantastic. Come to think of it, most, if not all of my online buys were stuff I got on sale. I think one of my first online buys was a Dear Creatures denim romper from Daily Candy's Swirl. I've also bought shoes from Gilt, and home and beauty stuff from Soap, all at discounted prices. Recently, I also got a bag from the Kate Spade flash sale that my friend blogged about. 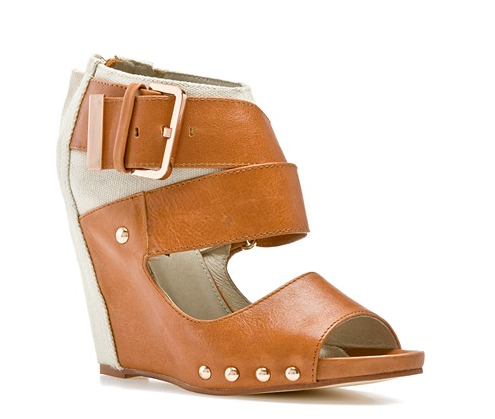 Mea Shadow leather and canvas wedge bought on sale at Gilt. Since moving back to Manila, I've discovered and browsed through tons of online shops, not just on the Multiply Marketplace but in the Pinoy wide web. I'm happy that more and more people are discovering the convenience of online shopping. In a way, it has democratized the retail business. You don't need as much capital to set up an online business as compared to opening a brick-and-mortar space. Plus the variety and competition forces retailers to come up with better products and services. Bottom line, consumers benefit. That's not to say it doesn't have its disadvantages, the foremost being the security of paying for something online. I think a lot of people are scared to e-shop because they don't want to give out financial information that could be misused for fraud and theft. The payment options are also not convenient. Not everyone has a credit card, and bank deposits are quite a hassle. This is where SMART Money comes in. 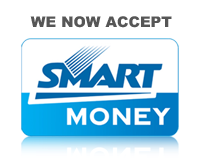 With SMART Money, you can simply use your Smart mobile phone to pay for online purchases. 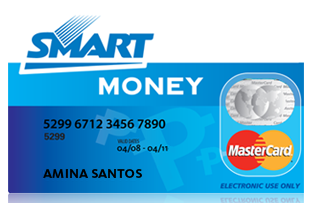 It also comes with a SMART Money Mastercard that you can use as an ATM and debit card even when shopping in-store. But don't let me bore you with details, read all about how you can sign up for SMART Money here. 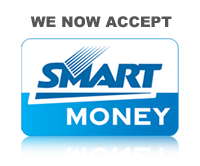 Sign up for SMART Money and get the SMART Money Card which doubles as a Mastercard. SMART Money badge lets shoppers know they have a convenient way of paying online purchases. And even if you don't get the cash, you still win. I'll be blogging about my favorite stores and picks three times a week, not just here but also on the SMART Facebook page which has over a million fans (a millions fans? Panalong-panalo na publicity!). Plus all participants will be included in SMART Money's Online Shopping Directory which all SMART Money users can access, and will also be displayed in the SMART Facebook Fanpage, and SMART Money site. Now I'm going to be honest here, one of the reasons why I agreed to do this is because I'm also launching my own online accessories shop (more details to come very, very soon! ), and it's also a great way for me to promote my blog and my business. Hey, as a budding entrepreneur, I need all the help I can get, and promos like this cost nothing to join, but have instant benefits. Rest assured that, although my Shopspotter posts are sponsored, my picks are of my own choice, and won't be the product of PR push. Whatever I post will be things that I genuinely like, and hopefully you, dear reader, will enjoy as well. I will also be posting tips on online shopping and selling so I promise it won't be all "Buy, Buy Buy!" on my end. So hurry register for SMART Money and Shopspotting, and please, feel free to share with me your favorite SMART Money online stores. I'd love to hear about all of them! I love the way my blog looks now, thanks to a redesign by Ryan Resurreccion of Havoc Digital Media, Inc. Thanks a bunch Ryan! I got the linen background from The Background Fairy, where you can score lots of freebie graphics and buttons for your own blog. For my header, I used FFF Tusj font from dafont.com, and bangle product shot by Louie Aguinaldo. aw! would've signed up for smart money for your promo ;) sayang i'm closed right now!!! when i reopen! Hi Jen, sayang naman, when are you reopening? You can register until October 25, and then voting starts Oct 26 till Nov 4. Please spread the word in your blog and network. I can't join the promo since I blog for them officially. Kat! This post is so exciting! 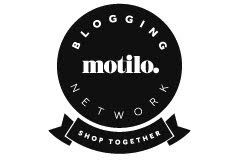 Love your blog's new look and this Shopspotting gig sounds like a lot of fun ha! i shall help in spreading this good news to others..
Nikki, thanks! Ako rin excited na rin mag cyber gazing haha! Hi Chico, yes it's really a great contest to join since it costs nothing on the sellers part. I'll make sure to check out your site. And yay, please promote, thanks! i'm an online seller, but since its still in the initial stages i haven't finalized registering my business yet with dti, etc. would i still qualify for this? also, will you just be blogging about online sites related to fashion? Yes, you can still qualify for the promo as long as the items you sell are authentic. 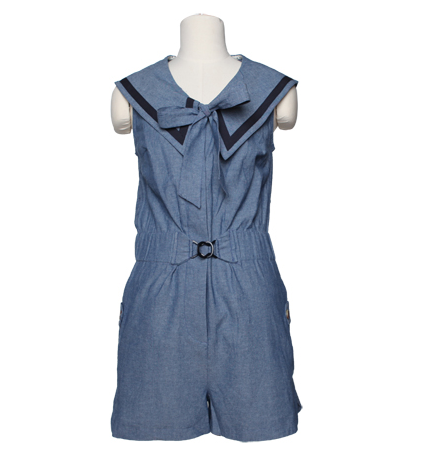 And I will also be blogging about other sites, not just the ones that sell fashion items. :) Join na! ShopSpotting: What Are Your Halloween Plans? Which Red Shoe Should I Buy? Halp!